Clareview Town Centre is bound by 149th Avenue to the north, 36th Street to the east, 137th Avenue to the south, and Manning Drive to the west. A plan for Clareview Campus and Business Park was initially prepared in the late 1970s, but the plan was never developed due to changing economic conditions, which made the initial concept unfeasible. The Clareview Town Centre Neighbourhood Structure Plan replaced and consolidated previous planning efforts and guides the development of the area today. 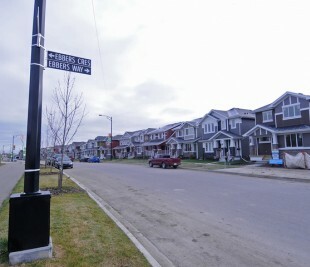 The neighbourhood features a mixture of residential, commercial, and institutional land uses located between major arterial roadways and along the city’s Light Rail Transit (LRT) line. 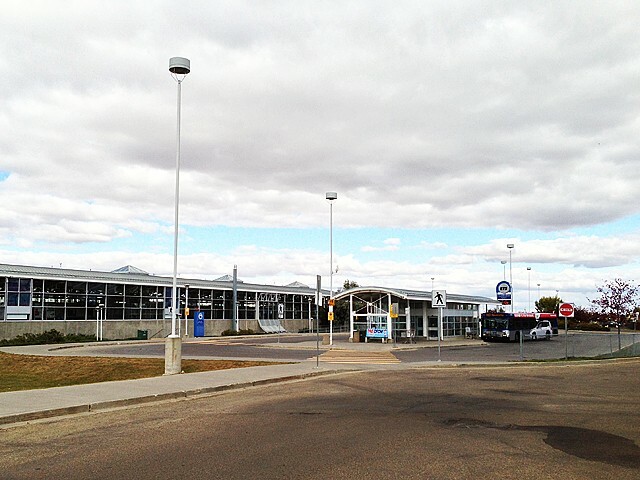 Adjacent to the LRT Station is a transit centre with a commuter parking lot. 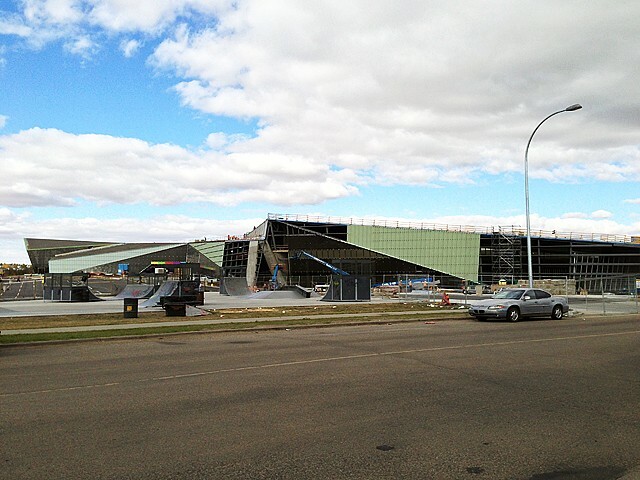 The Clareview Park and Arena are located in the middle of the Town Centre, east of the railway line. A range of commercial and retail amenities, as well as low- to high-density residential developments, are located throughout the neighbourhood. Bethel Community Church, 14204 25 St.
Clareview Bible Church, 3628 145 Ave.
St John Bosco Catholic Church, 13503 40 St. The Freedom Centre Church, 4925 134 Ave.
St Michael & All Angels Anglican Church, 5003 146 Ave.
Emmaus Lutheran Church, 5015 144 Ave.
Fort Road Victory Church, 13470 Fort Rd. 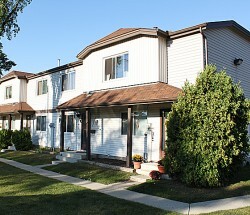 Ernest Kotio, 23, has lived in Clareview since 2009 where he lives with his family in a three bedroom townhouse. He immigrated to Canada from Liberia around 2007 initially settling in Grande Prairie to attend college. Now he is studying Business Administration at MacEwan University and working at the Clareview Multicultural Centre as a host facilitator. He helps recent immigrants living nearby adjust to life in Edmonton by telling them about the area’s public transit, shopping areas and community services. He says many immigrants are excited to get involved in local community sports such as soccer and basketball at the Clareview Community Recreation Centre. Clareview Town Centre is a mixed-use neighbourhood that includes a business park, a residential area and commercial/retail area occupied by several large retail outlets. The most common type of residence are rented apartments and apartment style condominiums. Among all residences, about three-quarters are rented apartments and apartment style condominiums, with the remaining homes comprised of single-family dwellings, duplexes and row houses. The vast majority of homes were built between 1991 and the present. The Clareview Community Recreation Centre at 3808 139 Ave. NW opened in 2015. The centre features a wide range of amenities including the Clareview branch of the Edmonton Public Library, an aquatic centre and a 25-metre pool, fitness centre, Olympic and NHL-sized ice rinks, multi-purposes rooms, a multicultural centre and Clareview District Park featuring a skate park and seven soccer football fields and three baseball diamonds. 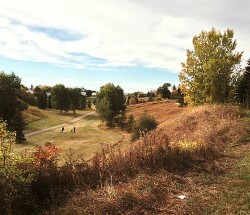 Clareview Towne Centre is part of the Hairsine Community League that also includes the neighbourhoods of Hairsine and Kirkness. The hall is located at 3120 139th Ave. The community league hosts activities such as outdoor soccer, swimming, skating, softball and more. The nearest parks are located just outside the neighbourhood including Hairsine Park to the east, Kirkness to the northeast, James A Christianson to the north, Sifton Park to the south and Belmont Park to the southeast. The private club, World Health Clareview, at 3746 50 St offers personal training, group exercises, weight room and steam room. The neighbourhood is close to numerous commercial and retail services along 137th Ave. and along 50th St. Manning Crossing Shopping Centre, at Manning Drive and 137th Ave. and the Manning Towne Centre shopping area to the north of the neighbourhood are also available. The only school within the neighbourhood is Cardinal Collins High School Academic Centre, a Catholic school beside the Clareview Community Recreation Centre at 3802 139 Ave.
John D. Bracco School, a public junior high school at 3150 139 Ave.
St. Bonaventure Elementary, a Catholic elementary school at 3004 139 Ave.
Belmont School, a public elementary school at 3310 132A Ave.
Elizabeth Seton School, a Catholic elementary and junior high school at 3711 135 Ave. The Northeast Community Health Centre, at 14007 50 St. is a 24-hour primary health care facility offering a 24-hour emergency department, as well as audiology services, child health, diabetes prevention, general radiology, mental health and addictions and women's health.